I went into this book thinking that the writing would be great, since Michael Moss is a Pulitzer Prize winning writer. (Spoiler alert - it was.) I also thought I'd enjoy it because I am passionate about people being educated on what's in their food. And I definitely did. But I didn't expect to learn so much that was new - and also to realize how much of my life I spent not just as a marketer's target customer, but as their pawn in the relentless pursuit of profit over any other priority. The book is divided into three sections, each discussing one of the pillars of processed foods. Moss goes back to the beginnings of processed foods and investigates how the foods developed over time. Many large food producers today started out as small, family-owned companies, with the owners committed to using natural or real ingredients. Even large companies were afraid at first to sell products with chemicals in them because they were afraid of the public's reaction. The book discusses how we got from that point to where we are today, with Americans eating way too much of all three building blocks of processed foods. I found the discussions about our tastes and the science behind that to be fascinating. Babies are not drawn to salt - in fact, they are repulsed by it. We are all born with an innate like for sweet and a dislike for excess salt. Studies have shown that exposure over time to sodium in processed foods for babies leads to the development of a taste for and eventual craving for salt that otherwise would not have been there. Also, if you reduce your salt intake for just a few months, your taste for salt will reset and you will likely not enjoy the level of saltiness in your food that you once did. There are so many details in this book that are worth knowing that I couldn't possibly list them all here (and it would deprive you of a great reading experience), but perhaps the greatest lesson I took from this book was to be very aware of the power of marketing and to never take products at face value. Processed food manufacturers (including the ones that make processed "health" foods) have a vested interest in making you come back for more. Bet you can't eat just one isn't just a marketing slogan - it's a call to action for them. They manipulate the content of foods to make them craveable and addictive, lighting up the same parts of the brain that are receptive to drugs. And then market them as something positive that plays on our desire for happiness, convenience or health. Every marketing or health claim is designed to play off one of those needs. Want a cereal that has less added sugar? Jack up the sodium and/or fat and then put "less sugar" as a marketing label on the box. Want a low-fat frozen lunch? Jack up the sodium to more than twice the daily recommended amount to make up for the lack of flavor. People want to feel like they are making good choices for their families, and that's admirable. But marketers and food manufacturers know that, so they use that desire to their advantage. Moss details companies who were sued for misleading health claims that helped sales to skyrocket but were empty of any truth or real benefit to the consumer. 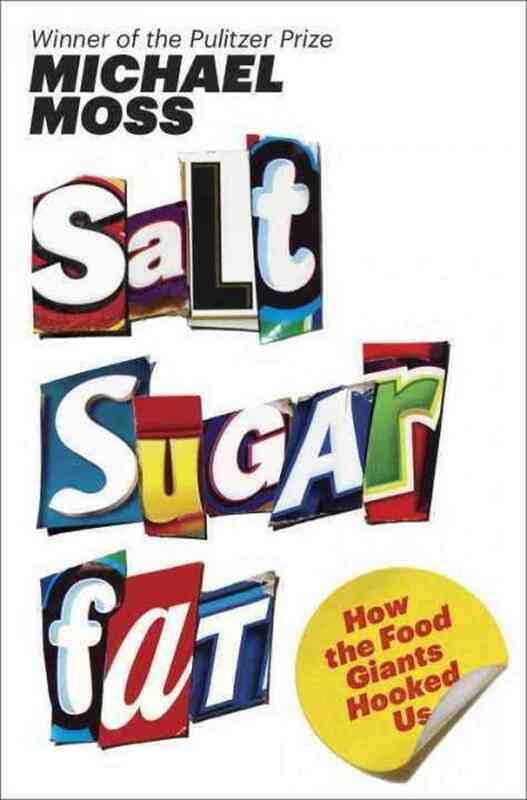 After reading this book, you feel like the processed/industrial food world has played you for a fool. Also, I should note that I don't believe that eating one Oreo cookie with chemicals in it is going to doom you to bad health. But for me? I feel better in general when I avoid processed foods, and I know that I have never in my life eaten just one Oreo. And I also feel better knowing that my money goes to farms or food producers that are making their best efforts to produce healthy food, or non-healthy food that's transparent about what it is. I don't want to give my money to companies that know that what they produce makes people unable to stop eating and to prey on their weaknesses. Corporations are not people (regardless of how the government likes to classify or treat them) and their motivation is profit, not our well-being. And that's what I try to keep in mind when I shop.